Name changes in the State of Hawaiʻi are authorized to the Hawaiʻi Revised Statutes 574-5. This statute provides that a name may be legally changed by an administrative order of the Lieutenant Governor upon a notarized petition, signed by the person requesting the change of name. 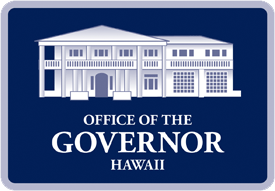 The Lieutenant Governor has adopted rules that specify the procedures for changing a name (Title 2, Chapter 2, Hawaiʻi Administrative Rules). The name of a minor can be changed only when both parents consent to the change. If one parent cannot be located or does or does not give consent, they may obtain a change of name through Family Court. For more information, please contact Family Court on your island. New! Use our new Name Change application and track your petition online. 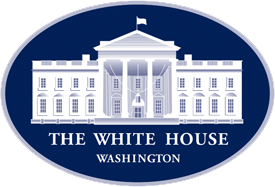 Visit https://namechange.ehawaii.gov for more information. PURSUANT TO HAWAIʻI REVISED STATUTES, SECTION 574-5(a), A COVERED OFFENDER SUBJECT TO THE REGISTRATION REQUIREMENTS OF SECTION 846E-2 CANNOT OBTAIN A CHANGE OF NAME FROM THE LIEUTENANT GOVERNOR. THE ONLY WAY A COVERED OFFENDER SUBJECT TO THE REGISTRATION REQUIREMENTS OF SECTION 846E-2 CAN OBTAIN A CHANGE OF NAME IS VIA A FAMILY COURT ORDER AS DESCRIBED IN SECTION 574-5(a)(2), UPON MARRIAGE, AS DESCRIBED IN SECTION 574-5(a)(3), UPON LEGITIMATION, AS DESCRIBED IN SECTION 574-5(a)(4), OR BY ORDER OF A COURT OF COMPETENT JURISDICTION, AS DESCRIBED IN SECTION 574-5(a)(5). There is a $50.00 Non-Refundable Filing Fee. When a Petition is rejected due to typographical errors or missing information; the $50.00 fee is applied to the re-submitted Petition; however, when the Lieutenant Governor formally denies a Petition, the $50.00 filing fee is not applied to any subsequent Petition. ALL forms must be typed. Please use the name change forms provided above or the Online Name Change System only. Non-conforming documents will be rejected. A $50.00 filing fee can be paid by cash, if applying in person, otherwise only by cashier’s check or money order. Cashier’s checks or money order should be made payable to the Office of the Lt. Governor. No personal checks will be accepted. After the Lt. Governor signs the Notice, the Notice will be returned to the Petitioner for publication in a newspaper of general (statewide) circulation, as required by Statute. Petitioner should take or mail the Notice to the Honolulu Star-Advertiser with applicable publication fee. The Notice must be published within 60 calendar days upon date signed by Lt. Governor. Failure to publish the Notice within 60 calendar days automatically voids the Petition. The Lt. Governor’s office will NOT be responsible for any errors in the Notice of Change of Name. If errors are detected after publication, the cost to republish the Notice will be the responsibility of the Petitioner. Upon publication (1 day only) the newspaper will send an affidavit to the Petitioner, which confirms the publication of the Notice of Change of name. An original affidavit will also be sent to the Office of the Lt. Governor. Upon receipt of the original affidavit, the Lt. Governor will sign the Order. Petitioner will then mail the signed original Order to the Bureau of Conveyances with $41.00, effective Feb. 27, 2017, subject to change without further notification. For more information, contact the Bureau of Conveyances at 587-0147. The remaining four (4) copies are for the Petitioner’s personal use. Check with the Bureau of Vital Records in the state or country of your birth or marriage if you wish to amend your certificate(s). The ORDER issued by the State of Hawaiʻi Office of the Lt. Governor is an ADMINISTRATIVE ORDER (signed by the Lt. Governor), NOT a COURT ORDER (signed by a Judge). Most States require a Court Order before amending a birth or marriage certificate.